When people ask me what a good time to visit Kenya is, I tell them pretty much anytime. 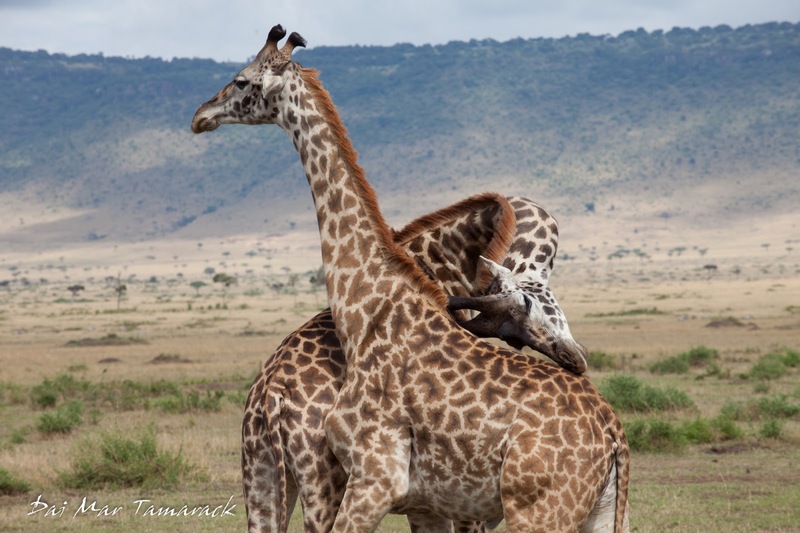 With places like the Masai Mara, Kenya is a wildlife lovers fantasy world. There are so many parks, game reserves, and fence-less plains here where you can see wild animals grazing. And where you find grazers you will inevitably find predators lurking not too far behind. 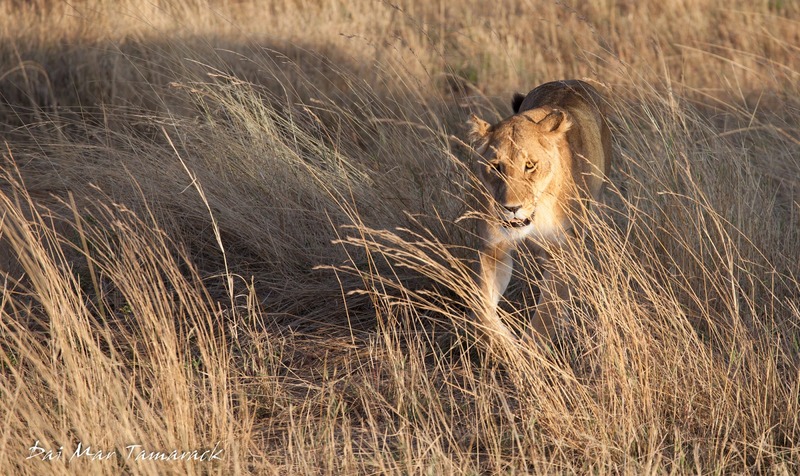 Or in the case of lions, they might be so sure of there place in the wildlife hierarchy that no lurking is necessary. 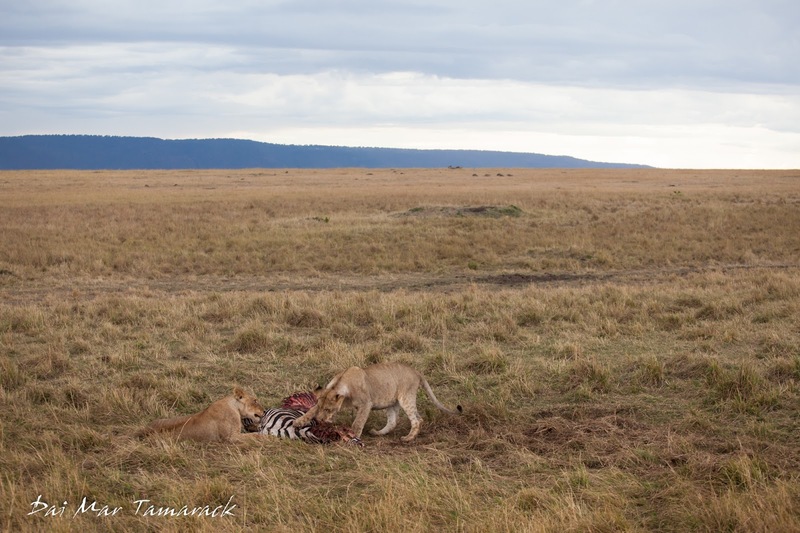 Our first indication that predators were about here in the Mara was the sheer number of carcasses strewn about the savanna. We drove past so many wildebeest, zebra, and buffalo skeletons which were still intact but picked perfectly clean on our way into and around the reserve. Then we hit the motherload, a pack of lions with a fresh kill! This pack of lions was eight strong, with a few year-old cubs. 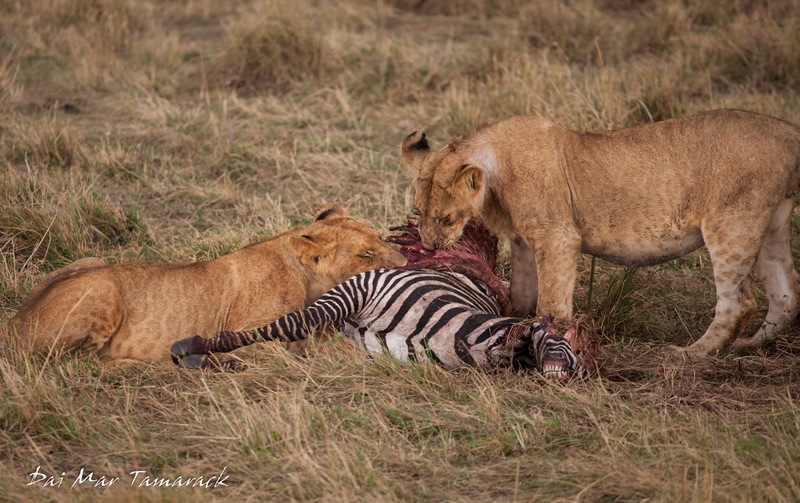 When we pulled up it looked like the adult lionesses had recently killed a young zebra, eaten their fill, and now the cubs were chowing down. 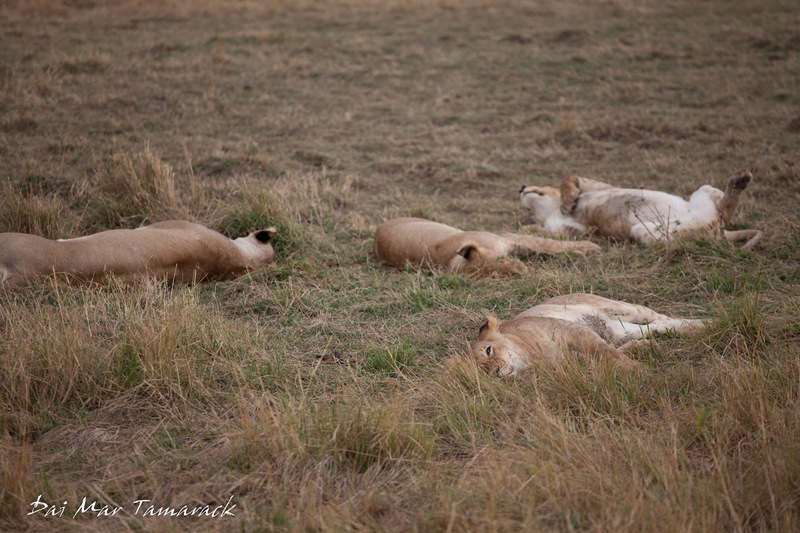 The lionesses had down their work for the day and had passed out. They didn't even bat an eye as we drove up. 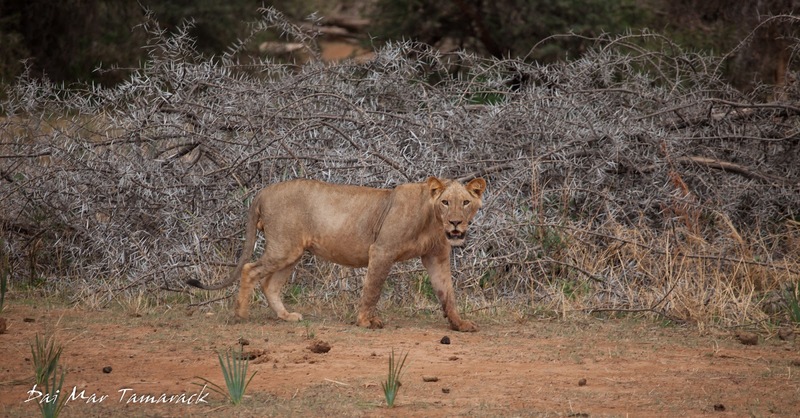 These lions stuck around this kill area for two days so we were able to come across them on the next day's morning game drive as well. This gave me an opportunity to photograph them in the golden hour just after sunrise. 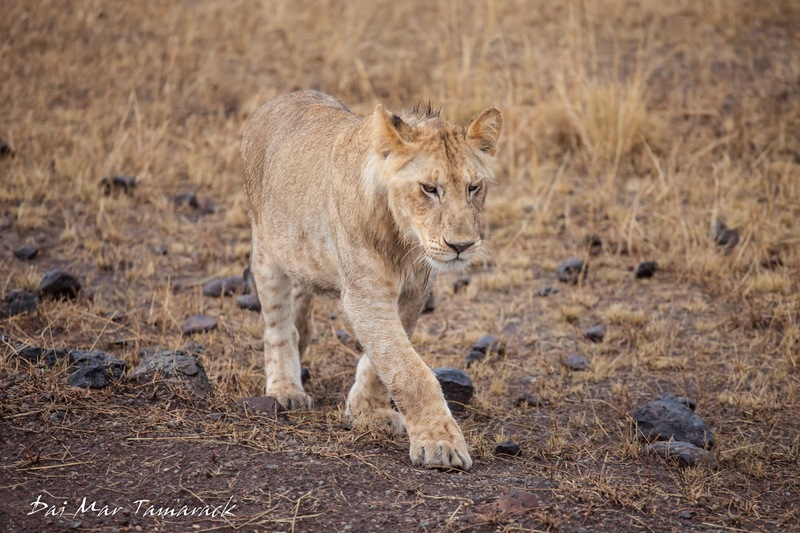 They strolled across the dirt road to drink up at a waterhole, and had their eye on a closing group of zebra as we had to unfortunately drive away to get back to the lodge in time for breakfast. 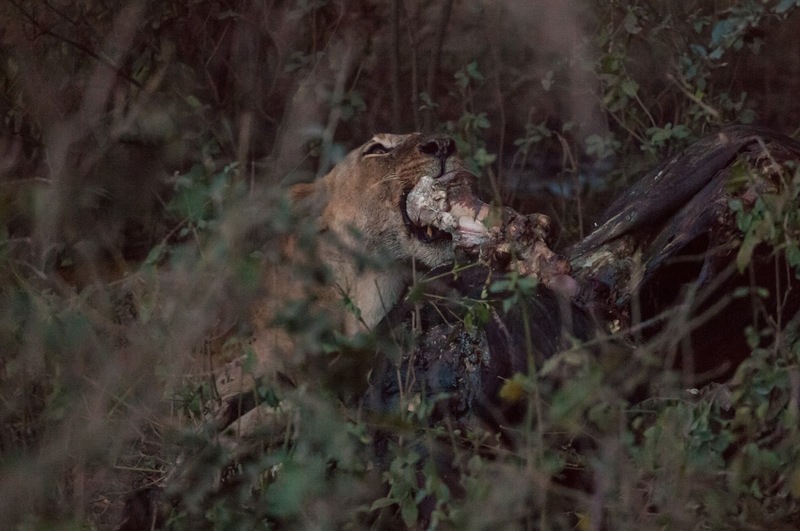 As we watched the lions greedily devouring their kill, we also were able to see a bit of the hierarchy that goes along with the levels of predators. 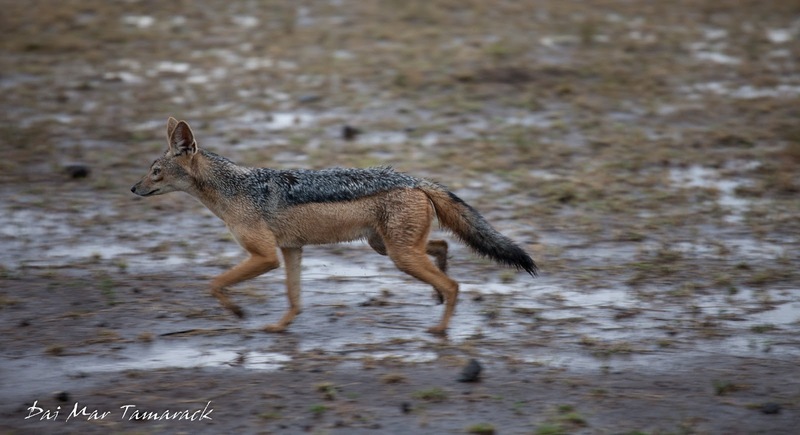 Black back jackals hung around the kill area waiting for all of the lions to drift off into a food induced slumber or to wonder off completely so they could move in on the remaining meat. But the jackals were not alone. It looked like they would have to fend off about twenty squawking vultures who were nearby, anxiously awaiting their turn as well. 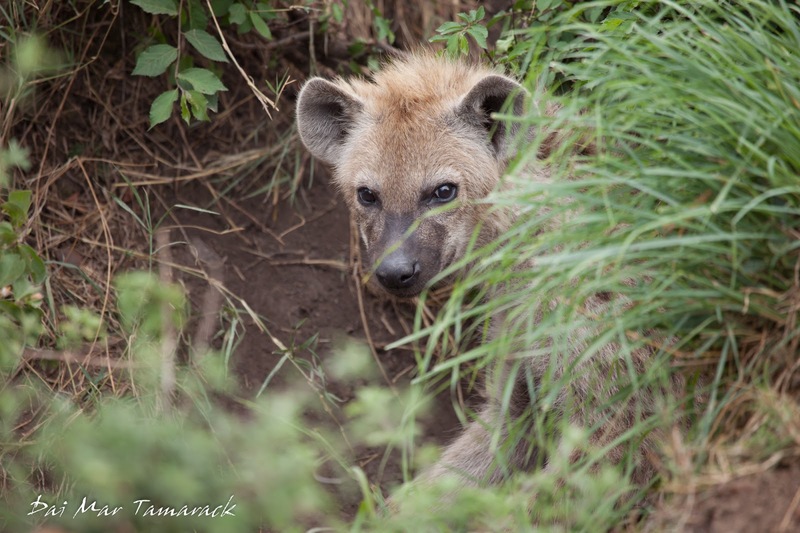 No doubt hyenas would descend upon the kill during the night when they are up and about, but as long as the lions stayed near, they remain the 'king of the jungle.' 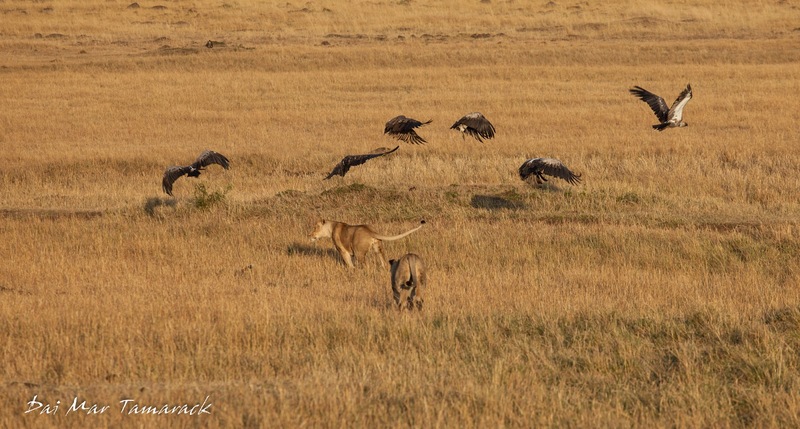 We even witnessed two young lions chase some overzealous vultures out of the area. 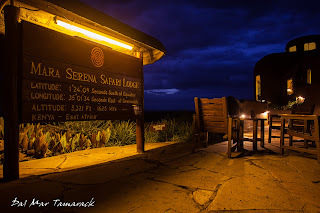 We didn't get to do any night drives this time around, but we were still lucky enough to find a nocturnal predator, the spotted hyena, on several occasions as well as enjoy a bit of nocturnal predatory action right at our lodge. 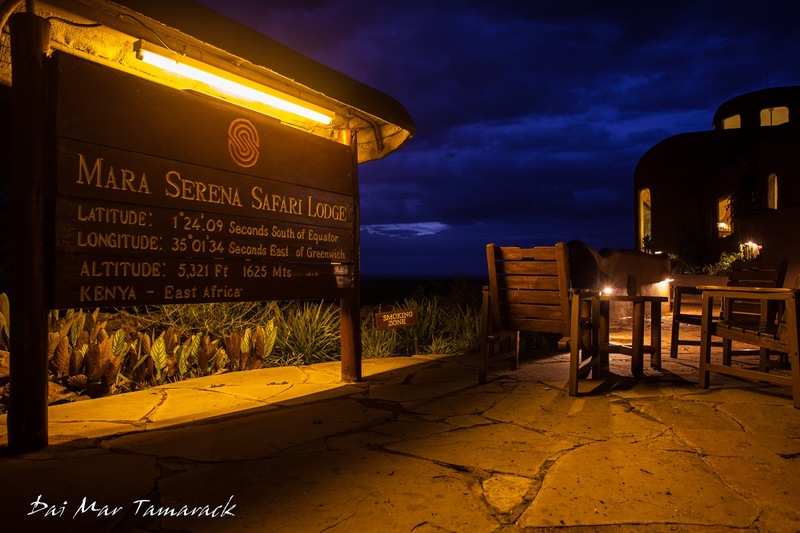 Opening our window at night at the Masai Serena Safari Lodge, we could hear a lion roaring from somewhere nearby. 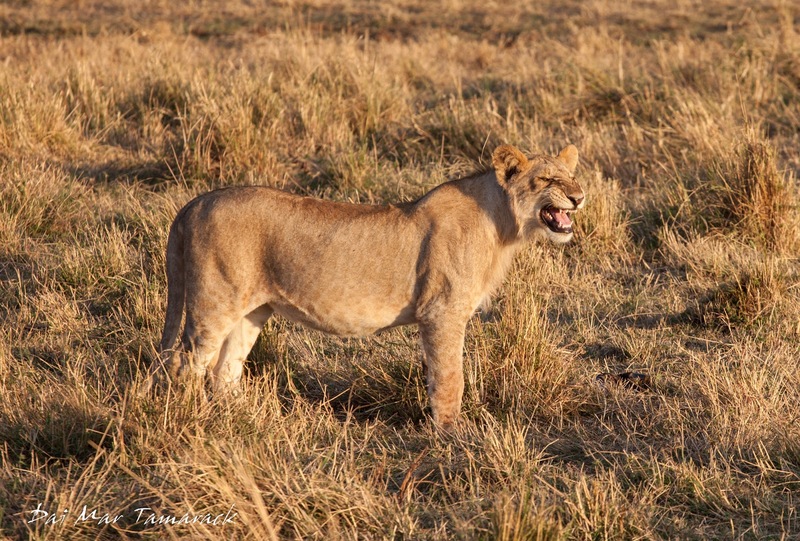 Looking at a lion's rippling muscle certainly shows off the strength of the big cat, but hearing the roar gives off so much more of the raw power that lions possess. 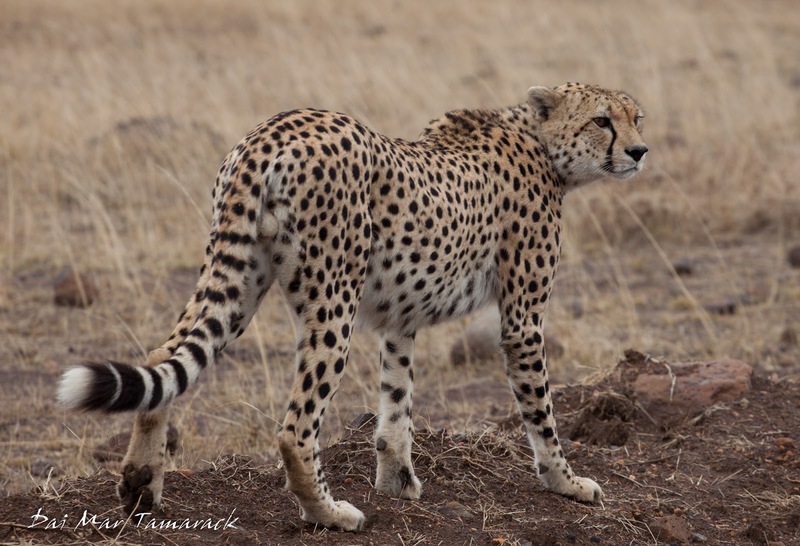 The one predator we hadn't seen very much of, just some brief glances in Amboseli, was the cheetah. 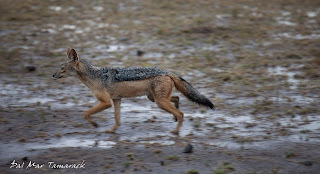 The fastest running animal in the world had been evading us at the different parks around Kenya. For three days it evaded us here as well. We asked around to other drives, went way off-road to places it had recently been seen, and still no luck. 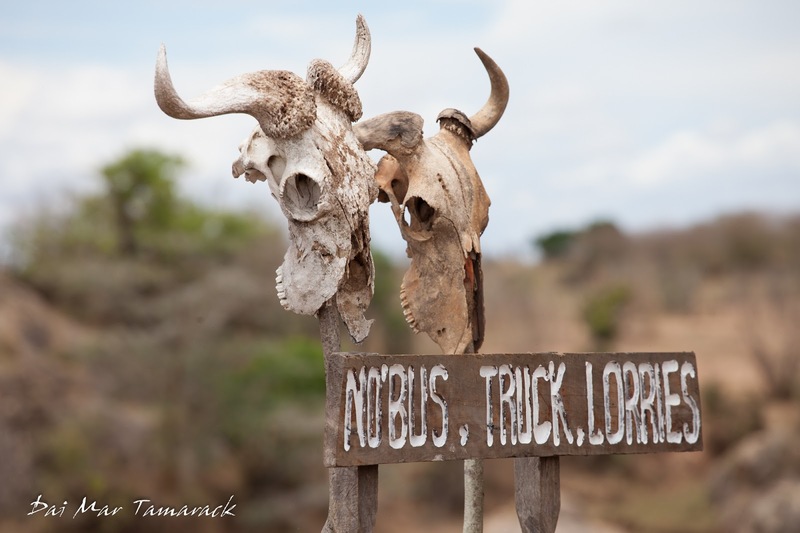 Then on our very last morning game drive, Lea shouted out 'there it is!' 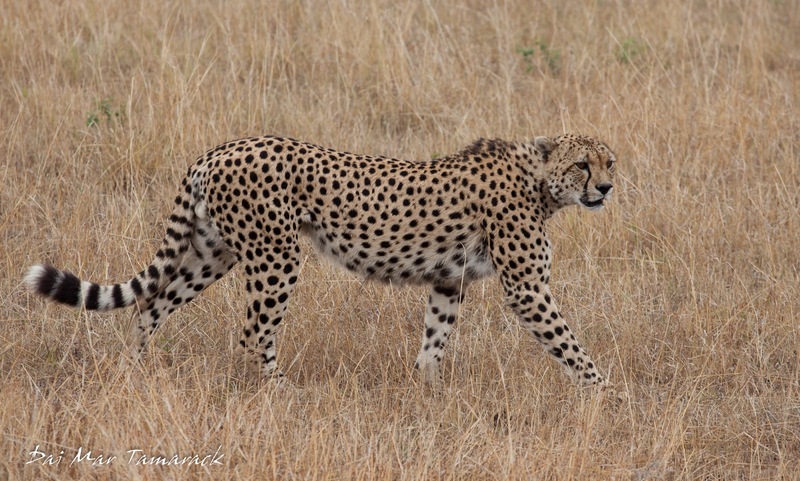 We all turned to left and sure enough, strolling up over the hill was not one, but two adult cheetahs. I willed them to come closer and not only did they walk towards the road, but they ended up crossing right in front of our vehicle. 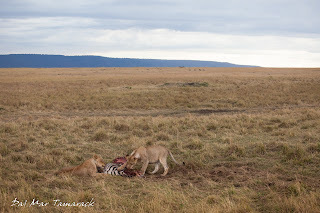 It was the perfect ending to our eight park, whirlwind Kenya sampler safari. 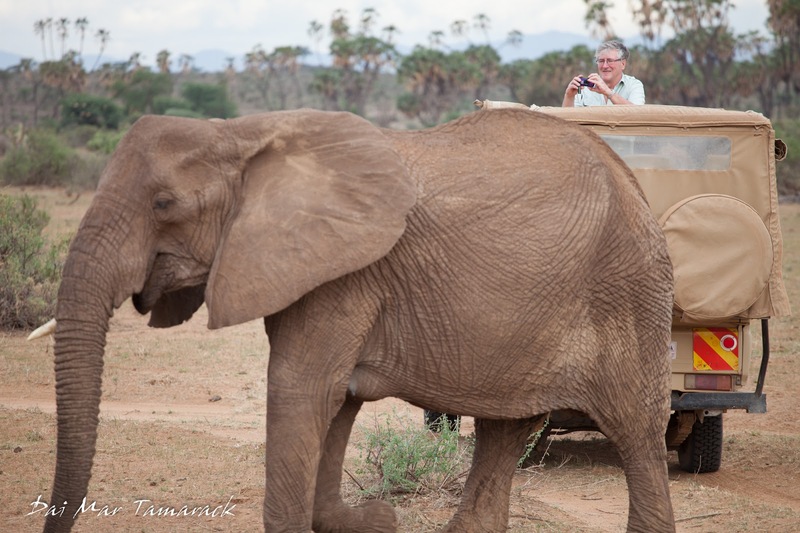 We had some amazing encounters and photo opportunities that only Kenya can provide. On our way out we crossed over the famous Masai River, which is home to another kind of predator. This one lies in wait for that time of year when hundreds of thousands, maybe millions of hoofstock is crossing the river on their migration to greener pastures. This is the Nile crocodile. And these are the big ones. 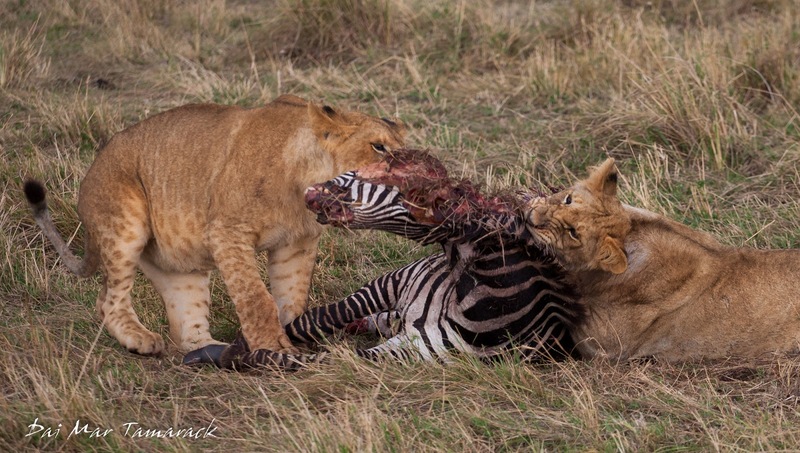 They would have no problem taking down a full grown wildebeest, zebra, or even a buffalo if they got close enough. For now these crocs looks satisfied with hauling their massive bodies our onto little mud banks and resting after what must have been a busy migrating season. 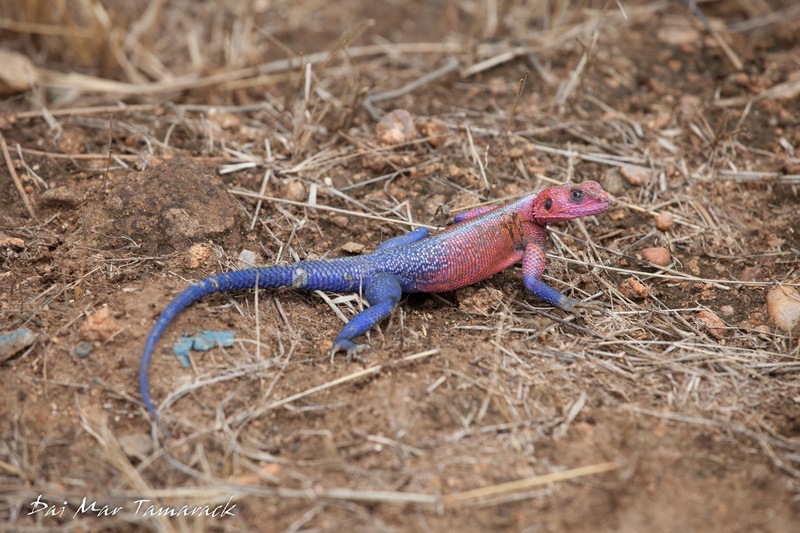 The Masai Mara National Reserve is the crown jewel of Kenya's parks. 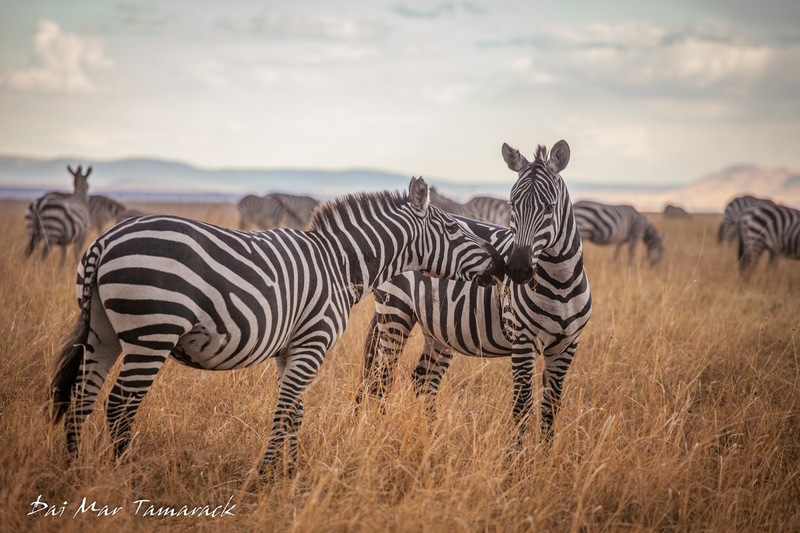 It is contiguous with Tazania's Serengeti National Park and is the home of the famous Great Migration of zebra and wildebeest from July to October. 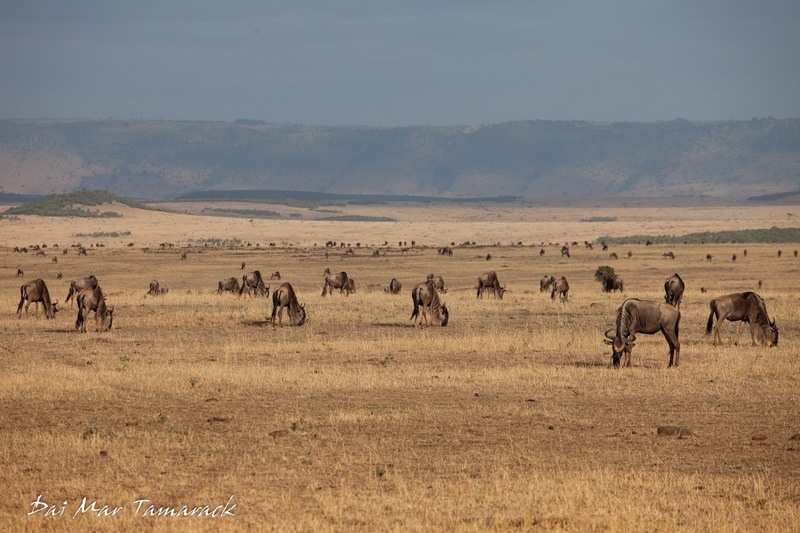 Even though we were here on the very back end of the Great Migration we still saw plenty of animals planning on staying and others lined up heading South. 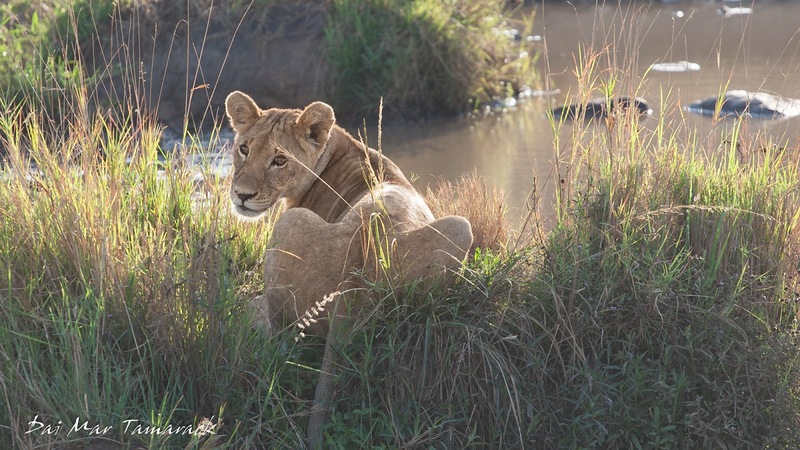 The Mara, as the locals call it, is also a wonderful place to spot predators. In fact, we saw so many that I will leave those till the next post and focus on the place and the grass-eaters of the African savanna that we came across. Masai Mara gets its name from the traditional homeland of the Maasai people who lived here, as well as the Maa language, in which 'mara' means spotted, an apt description for the random acacia trees dotting the landscape here. 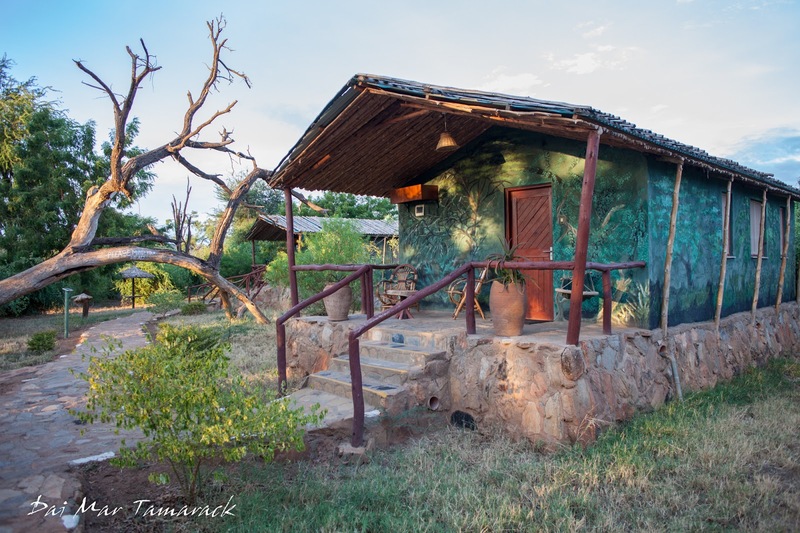 I had been here ten years ago during my first trip to Kenya and what I remembered most was the beautiful, golden grass that covered the savannas, and the hot air balloons dotting the horizon at first light. Both of these things still remained just as they were in my memory ten years past. 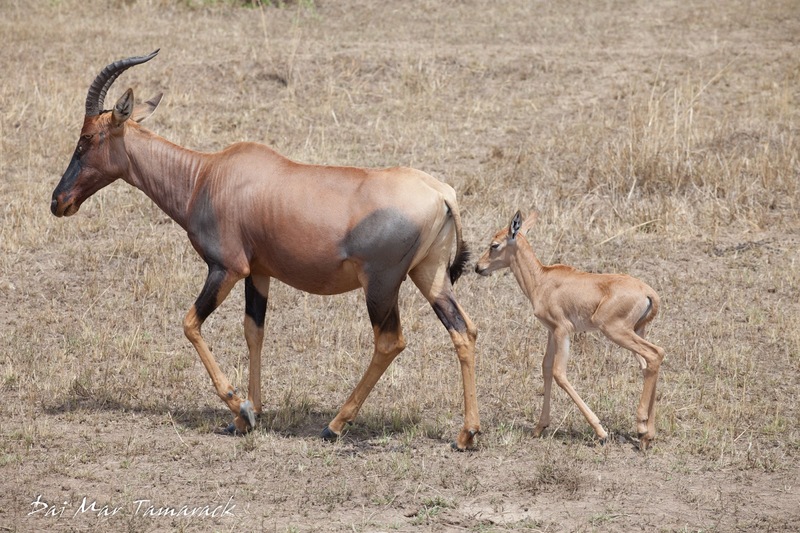 A new species for us on this tour of Kenya was the topi, who seemed to have little topi babies around every corner. It definitely seemed to be the season for babies as we saw tons of tiny zebras, buffalo, and gazelles. It looked like enough prey to sustain a rather large predator base here. Some of the hillsides were covered with large herds, making me wonder what it must look like at the height of the migration. It is a real treat to be surrounded by so much wildlife, and to have the vast openness of the Mara to witness it in all of its glory. It was totally worth the 90km of hard pack, uneven, rocky roads the led us here. One good thing about it being the beginning of rainy season is that not only do the afternoon showers keep the dust down, but it keeps a lot of possible tourists/cars out of the park as well. 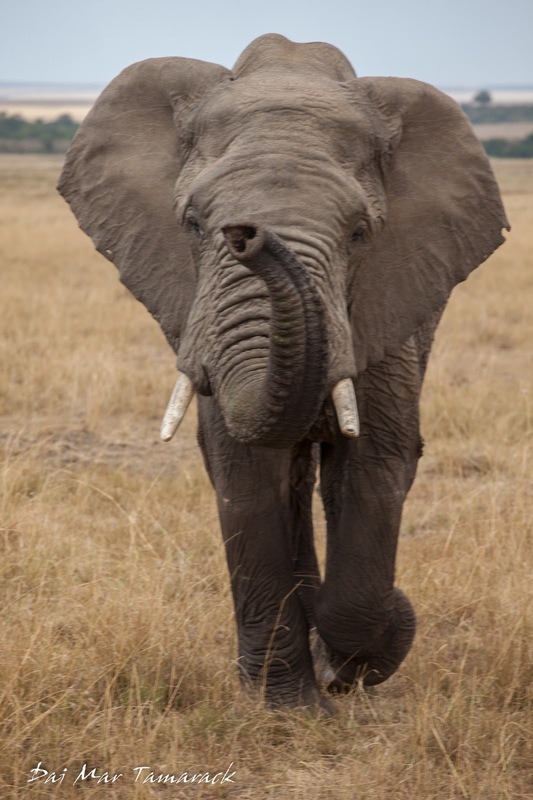 A lot of our close encounters were just us, enjoying all that the Mara has to offer. 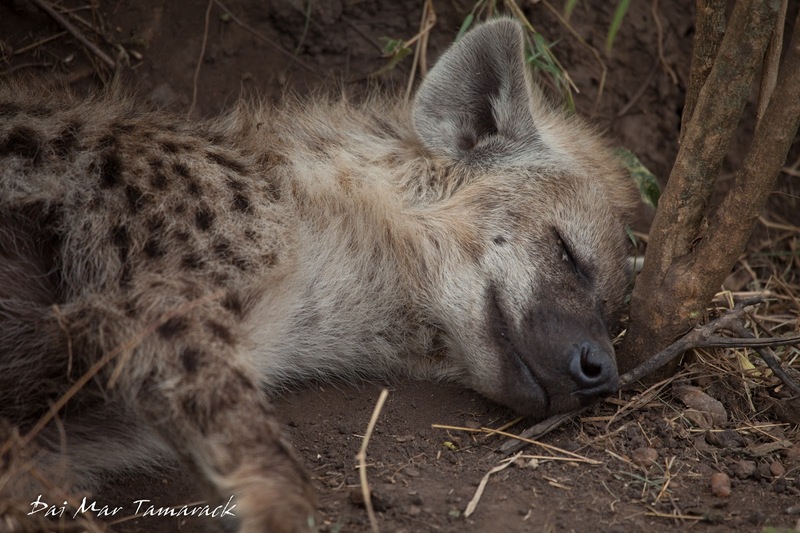 Check back in soon to find out more about our encounters with the local predators of the Masai Mara. 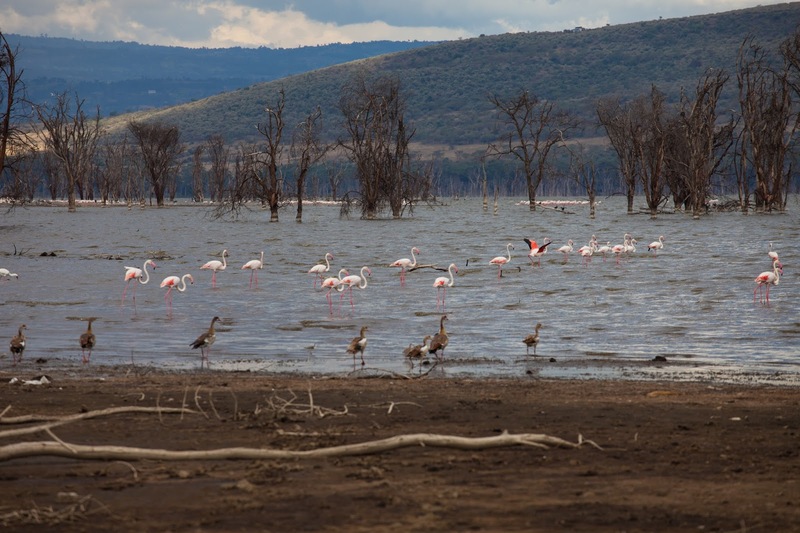 Lake Nakuru National Park was created in 1961 to protect the dense wildlife area in and around Lake Nakuru located in Kenya's rift valley area. 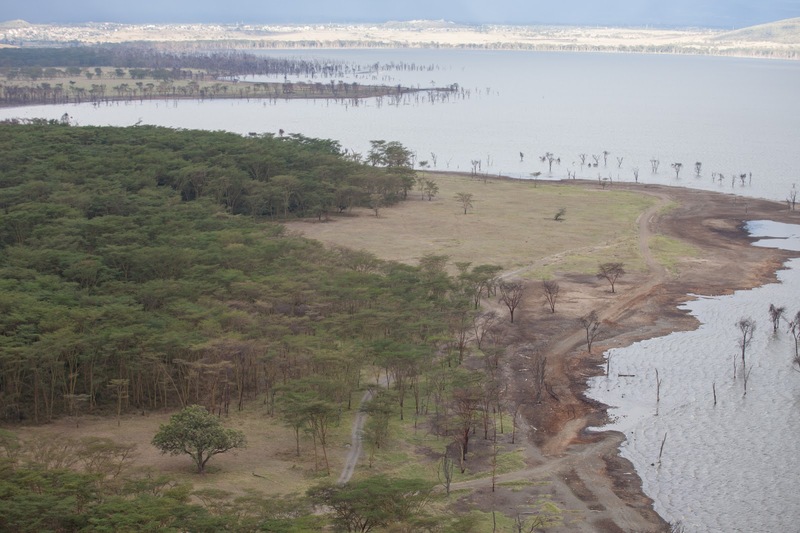 The lake is one of Kenya's rift valley soda lakes, which have natural dissolved minerals giving it an alkaline or saline content. It is pretty wild to see a salty lake this far inland and at an elevation of 1754m above sea level. The lake gained fame for the thousands, sometimes millions of pink flamingos that feed along its shores, sometimes giving the illusion that the entire lake is pink. If you ever watch the movie 'Out of Africa' you can see a beautiful overview of Lake Nakuru as Robert Redford flies over it. 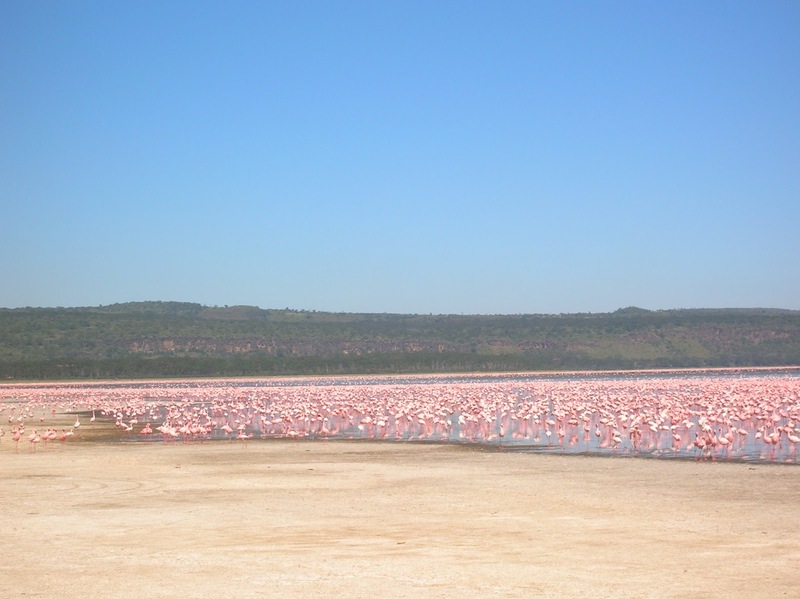 Even though Lake Nakuru National Park is home to rhinos, lions, leopards, and buffalo, it's the hoards of flamingos that are the real draw. However since 2013 there has been an alarming rise in the level of the lake. The rising waters have covered roads, killed trees, and shifted the ecology in the lake itself. I was shocked to see that almost all of the flamingos have disappeared from the shorelines, leaving only a hundred or so in place of a hundred thousand. 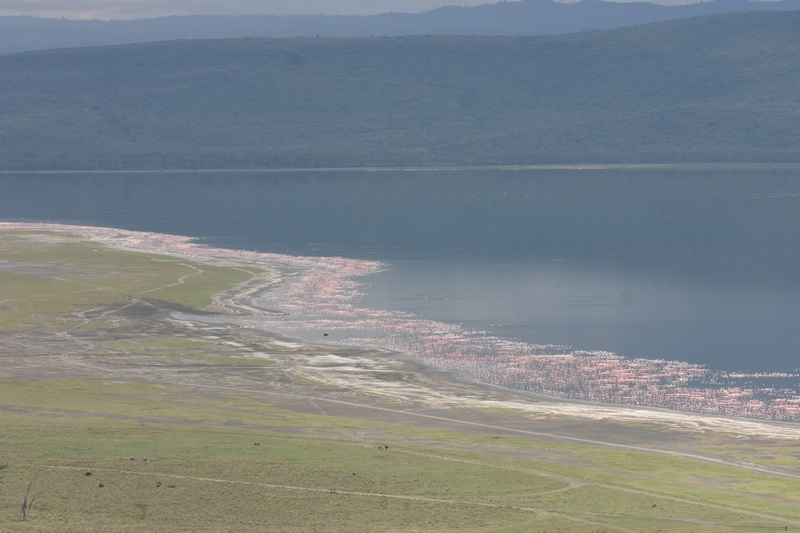 Apparently the flamingos have translocated to other rift valley lakes down in Tanzania, leaving the stakeholders of Nakuru in a rather dire situation as far as tourism is concerned. Different theories as to why the sudden rise in lake level abound. Some people claim it is on a 50 year cycle, others say a burp from the rift below, while others claim it is the change of the surrounding landscapes into huge agricultural farms which don't allow the soil to soak up the rains that is causing the rise. 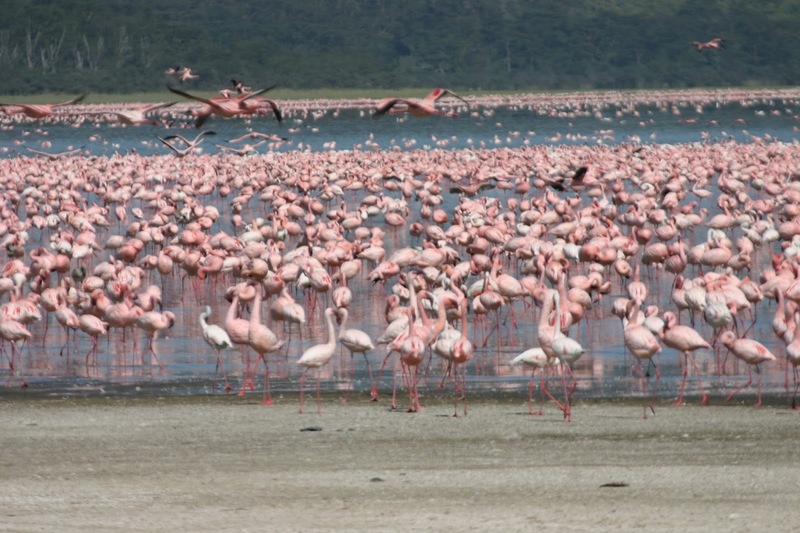 Whatever the cause may be, the cyanobacteria that the flamingos feed on has largely disappeared which in turn has done the same to the flamingos themselves. 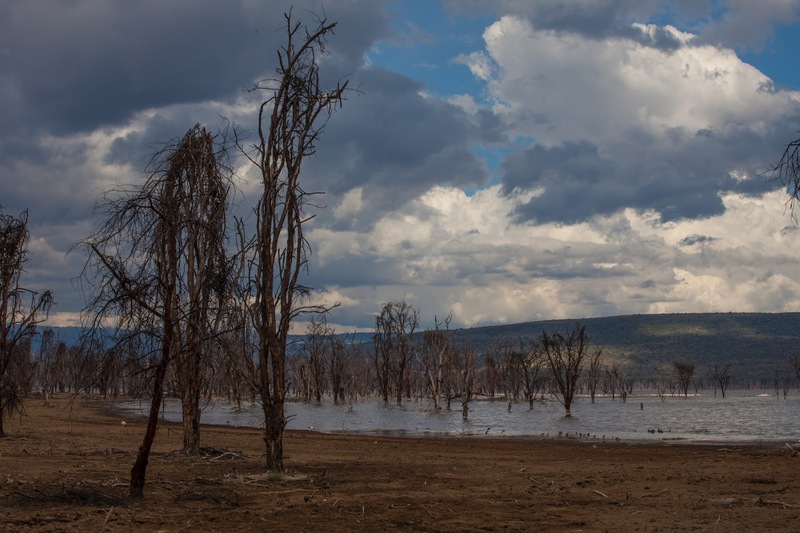 The dead trees and partially submerged National Park structures give the lake an ominous feeling. Although as we drove around on the newly formed roads we saw herds of buffalo, giraffes, and zebras thriving. 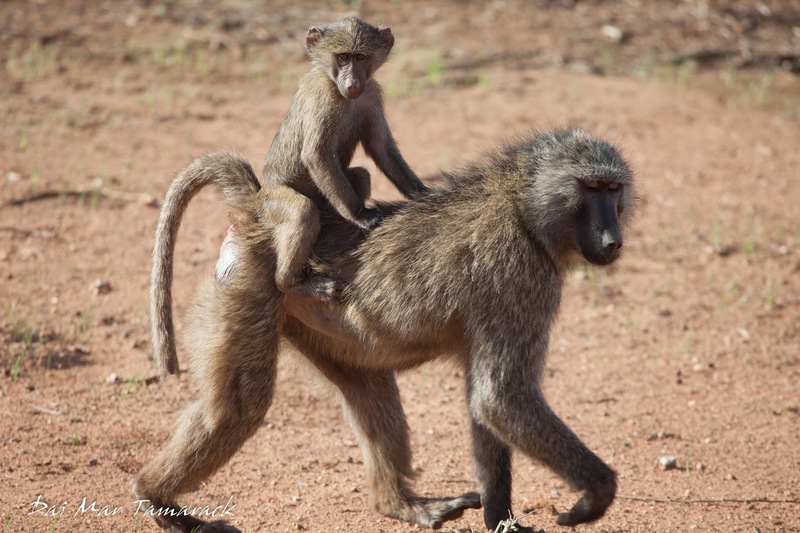 Baboons were all around the aptly named Baboon Lookout, and a mother lioness fed on a fresh buffalo kill while her three new cubs tumbled over each other in their play. I tried to capture a few pictures here of how the area has changed. 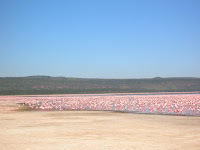 These two pictures are from Baboon Lookout Point, which was touted as the best lookout point to see the shifting pink mass of flamingos. Maybe someday the lake will find its balance and we will be able to see this pink phenomenon again. As of now it is one of those stories that starts with "I'm lucky to have seen this a decade ago..."
In the past week our whirlwind tour of Kenya's best National Parks and game reserves has taken us to Acacia Camp, Tsavo West, Tsavo East, Amboseli, Solio Ranch, Aberdare, and now across the equator to Samburu National Park. 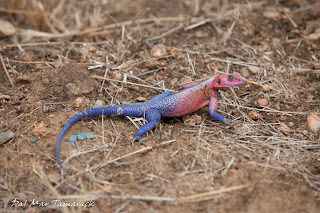 Samburu is again a huge change in environment. We left the lush moorlands of the Aberdares behind us and entered a dry, dusty shrubland with a mostly dry riverbed running through it. 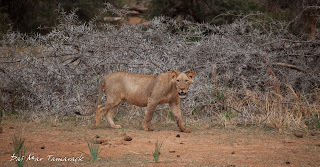 I remember 10 years ago this place being the spot where I first saw lions in the wild, so I was very eager to get back. Most of the group stayed at the uber fancy Larson's Tent Camp, while Lea and I 'made do' with a place 30km down the way called Sentrim Camp. Before we even got into the park we saw a new species, the Grevy Zebra, which I grew up with on St. Catherines Island. This island was the off-site breeding program for some of the Bronx Zoo's most endangered, yet prolific animals. Imagine a Jurassic Park with African animals instead of dinosaurs. 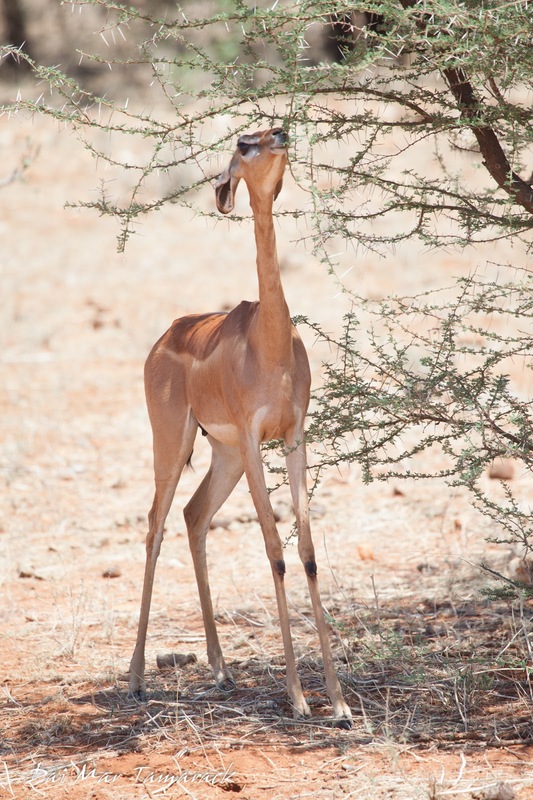 Reticulated giraffe and Somali ostrich were seen shortly after entering the park which gave us two more species. 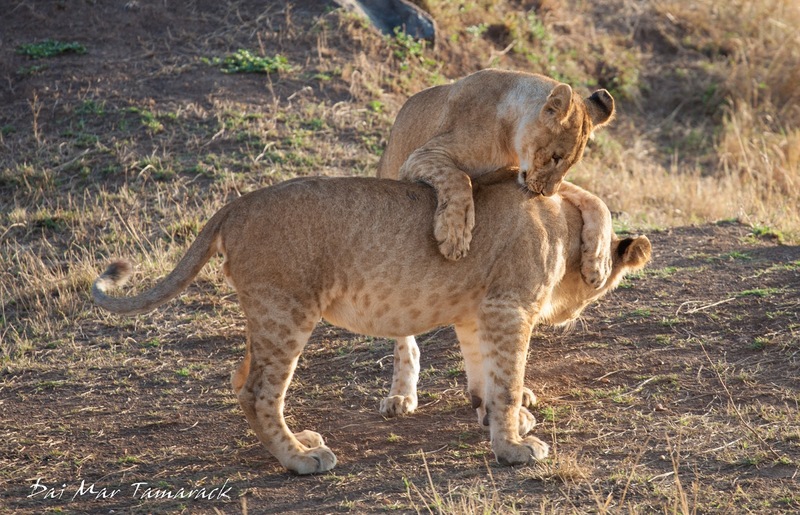 Then the picture of the day, and of our Samburu stay occurred right around dusk. 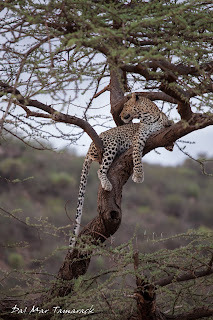 We saw a couple of safari vehicles gathered in one spot so we went over to check it out and I was delighted to see not just one of the best leopards ever casually looking around from its perch on a tree, but my dad, Kim, Toni, and Meg all there watching it. What a great way to initially get the group all together for the first time! 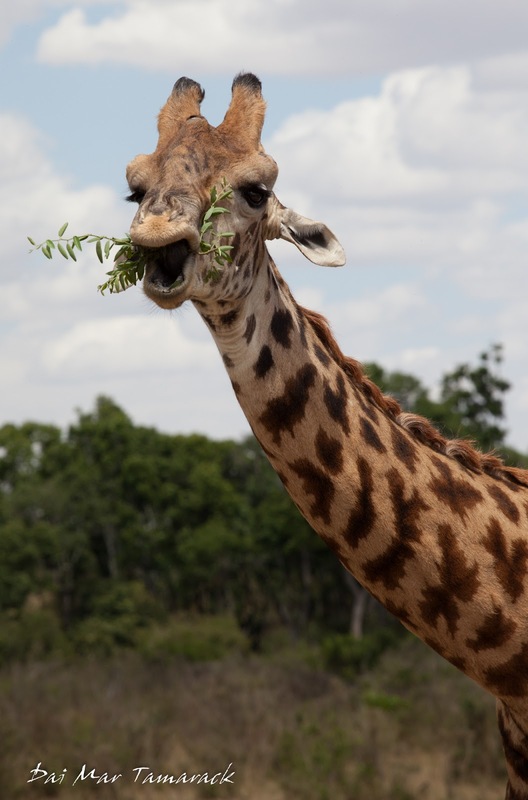 The stunted trees provided ample food for elephants, geranuks, and giraffes at the tops, and then all other hoofstock down lower. 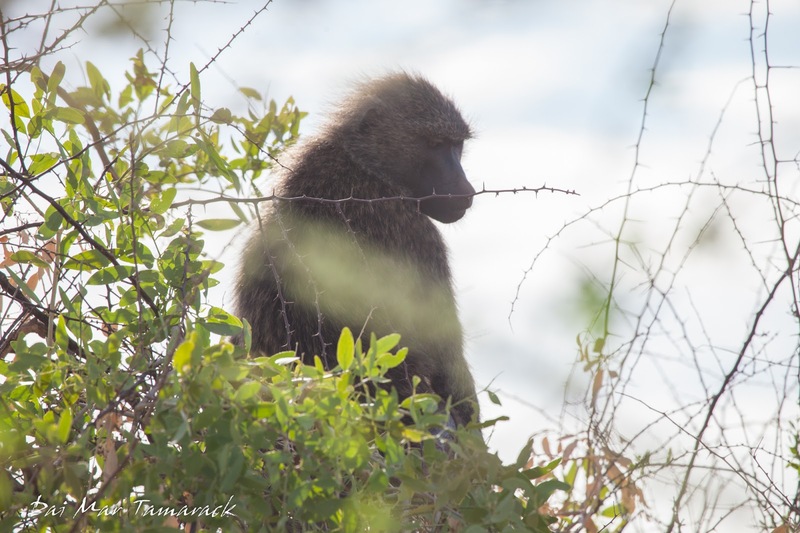 Dik-diks seemed to be hiding behind every bush and big troops of baboons moved noisily through the undergrowth. There was a lot of space in between the bushes for animals to travel which gave us a lot more viewing chances than the impenetrable forest up in Aberdare National Park. The dry riverbed was also an avenue for large groups of animals. 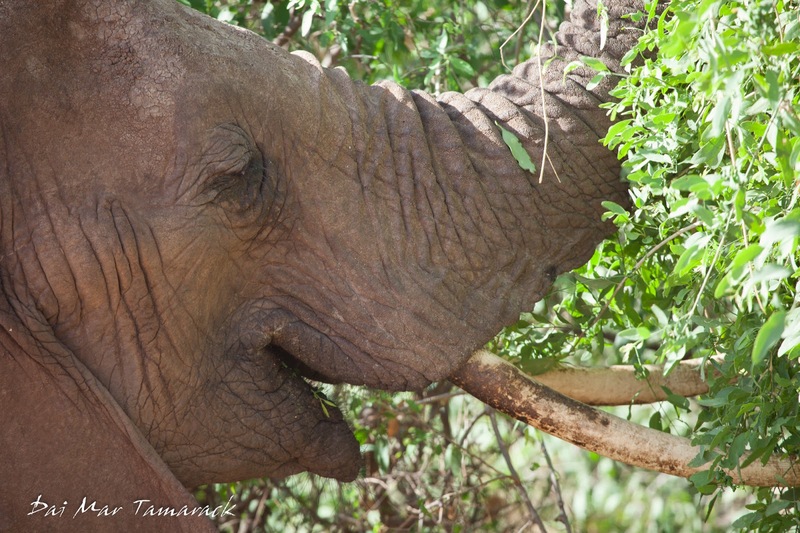 We often saw elephants digging into the riverbed in the evening. I assume they were getting deep enough for remaining ground water to bubble up. This is why some cow herders will follow groups of elephants through very dry parts of the year, letting them lead the way to underground water. 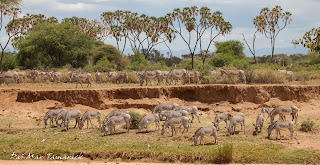 We also saw a large group of camels walking down the banks of the riverbed as well as the largest herd of Grevy Zebra my dad and I had ever seen. 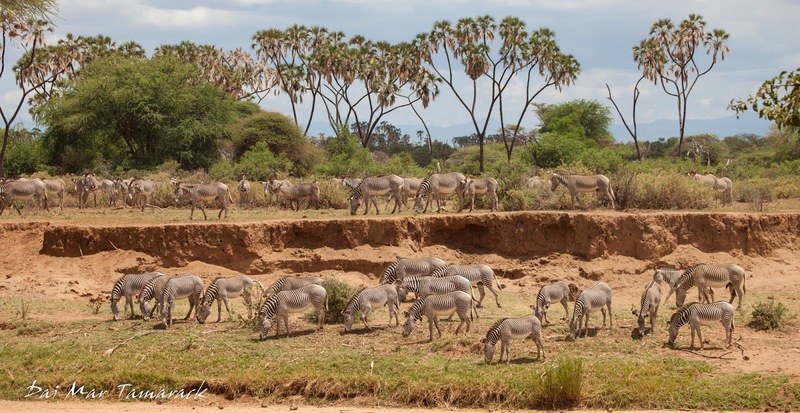 This concentration of Grevy's was one of the best conservation success stories of the trip, along with the rhinos at Solio. 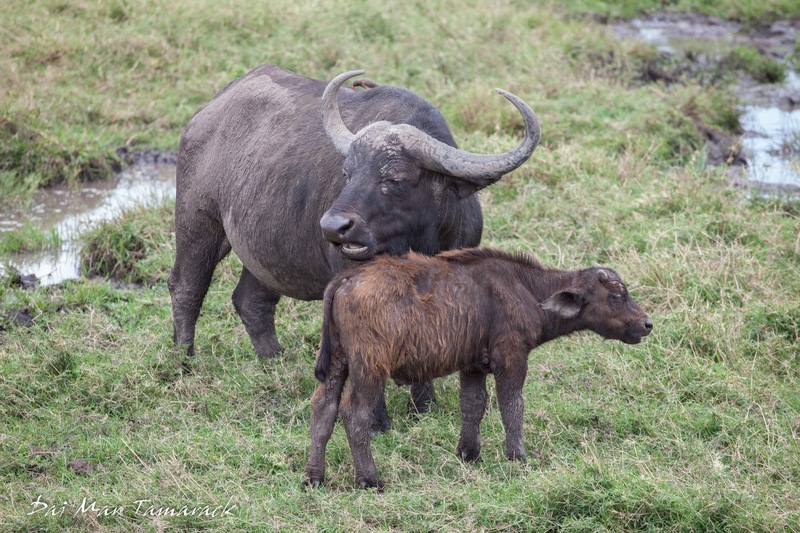 The worldwide population is limited to specific protected areas in Kenya and Ethiopia and is down to around 3,000 individuals in the wild, compared to 15,000 before hunting took its toll. 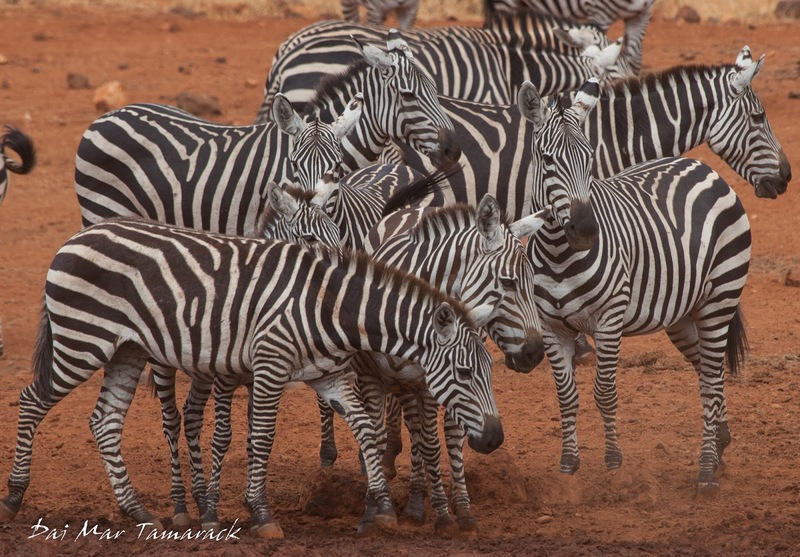 So to see a herd 200 zebra strong blew us away. 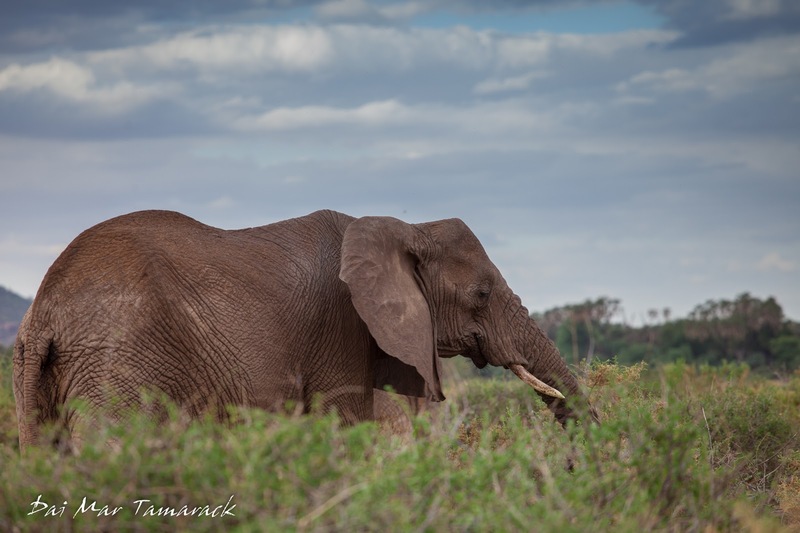 During our stay in Samburu we did experience the first rains of the upcoming rainy season. It wasn't enough to fill the river, but little green shoots of grass almost magically appeared overnight. The dark clouds provided some fun backgrounds for sunsets and landscape shots. While the animals sightings continued with lions, geranuks, giraffes, zebras, and close encounters with elephants. 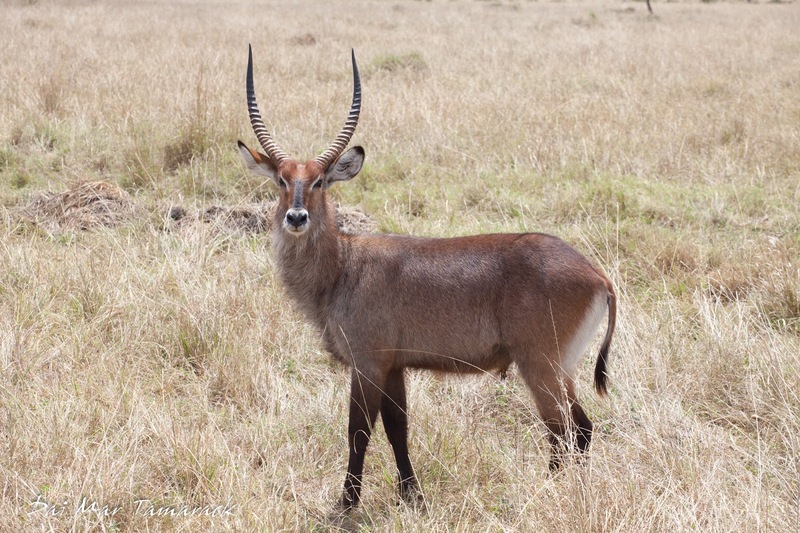 The central highlands of Kenya act as a separating point for many species of animals. 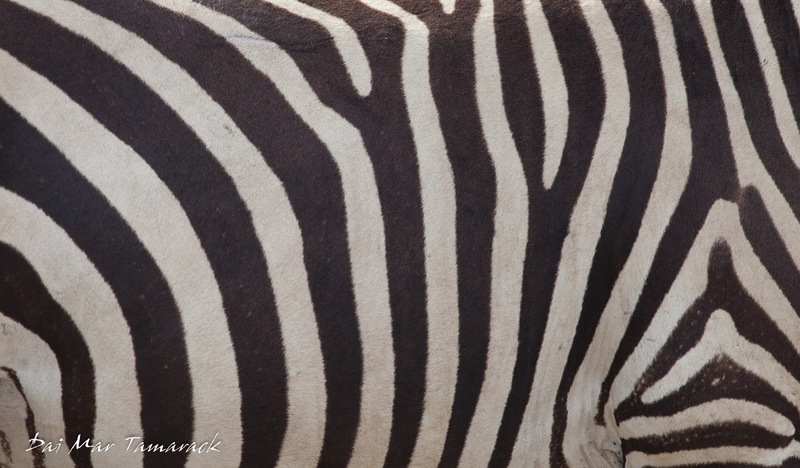 If you look closely at the patterns you can tell species apart. 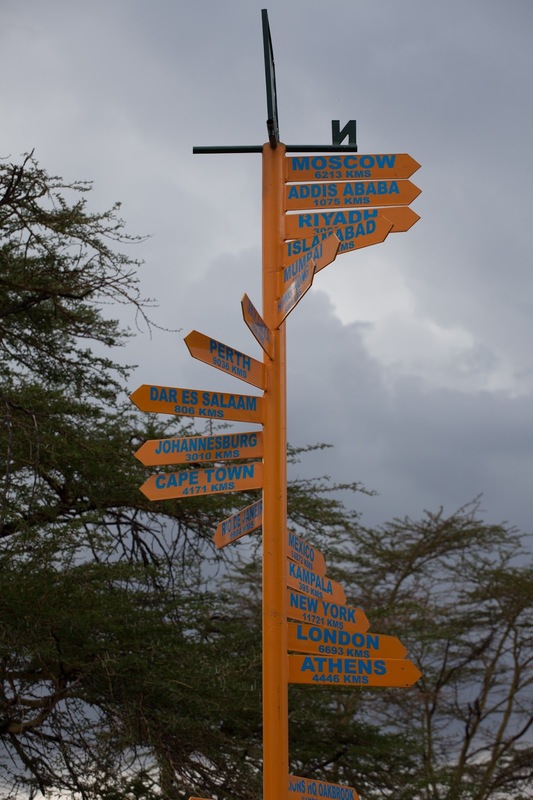 Once we crossed into the northern part of Kenya, past Aberdare and Mt. 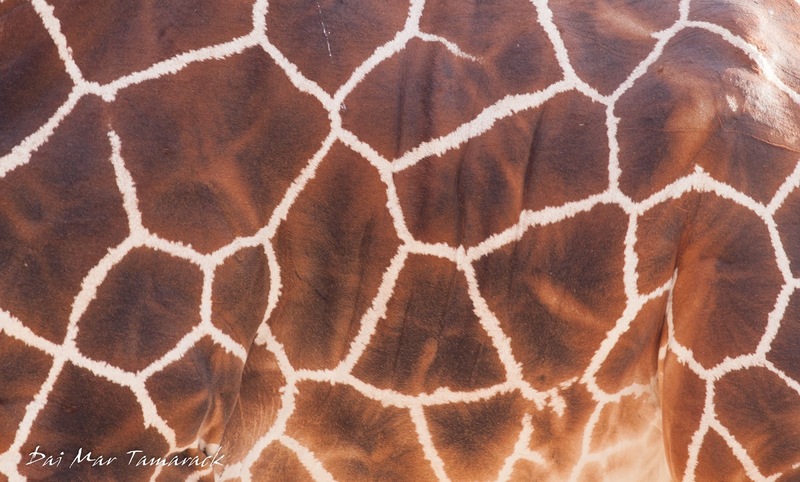 Kenya, the broad stripes of the plains zebra gave way to narrow stripes of the Grevy Zebra, while the irregular clover leafed splotches on the Masai giraffe gave way to the larger polygon splotches on the reticulated giraffe. 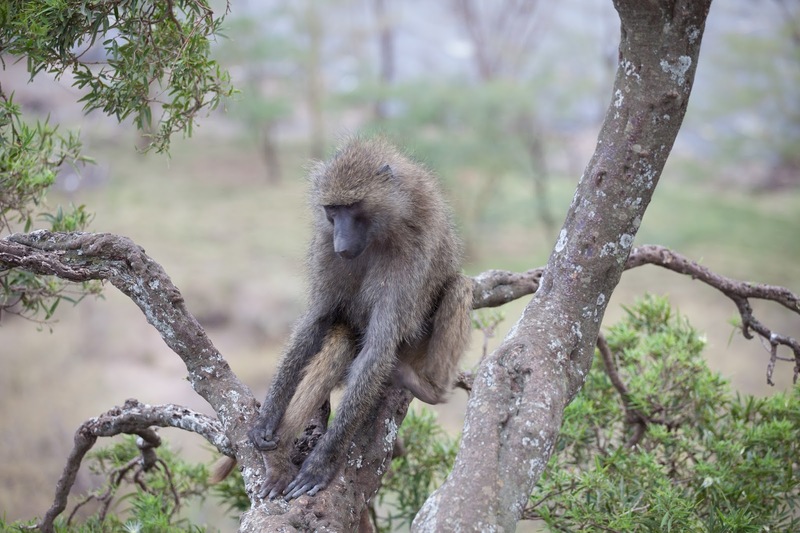 Ostriches, baboons, waterbuck and other animals also changed into different species, showing us divergent evolution as their ancestors remained separated and isolated by the wall of mountains in Central Kenya. Want to have this close encounter?